Monday Must Haves! - The Resourceful Room! 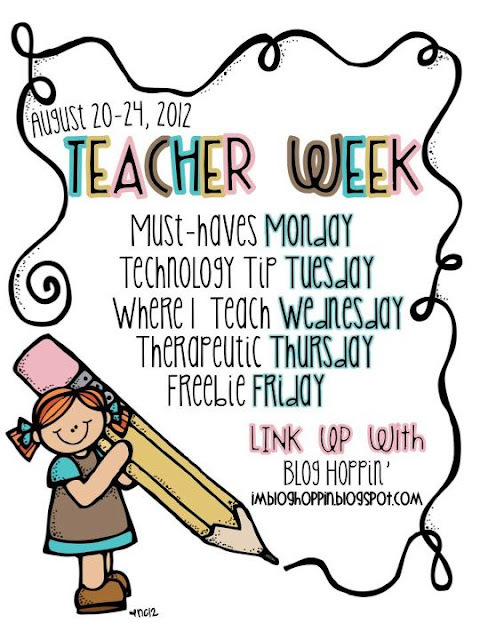 It's Teacher Week at Blog Hoppin'!!! Join in all week long to share all your favorite tips with us!!! I know I talked about this before but my binder defiantly keeps me on track. I love having everything I need for planning lessons, IEPs, contacting parents, and going to meetings all in one place. I just grab my binder and go, I know I won't be missing anything! 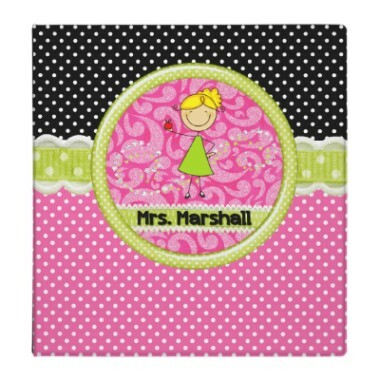 If you haven't seen them yet check out my freebies page for a binder organization set and calendars that match!!! It's all about anchor charts, and useful displays!!! My students need to remember what we've learned and connect to it so they can commit it to memory! I create lots of anchor charts with them and they use them all year long, I don't think we could live without them! This is my library, it's a lot smaller than it has been in the past, I admit I've gone kind of crazy buying books! Most of these belonged to my own children who are both great readers! I think part of the reason why is because I've taught them to love books since they were babies! I know my students will find something they want to read about here, and if they don't I'll go searching for something they will. I don't know how someone hates reading but I'm determined to change that view, having the right books is the key! I don't think I sit for more than the 25 minutes I'm on lunch a day, I'm always busy and I can totally tell if a pair of shoes isn't going to work for me by the time my first group of the day is over. 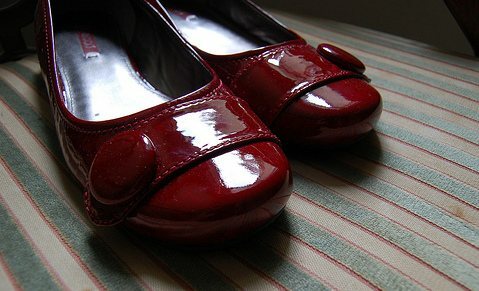 I've been searching for a new pair of shoes and haven't found ones that I love for a great price just yet. My favorite pair are almost five years old and getting worn out!! 5.) Water.......lot's of water, and a little chocolate!!! 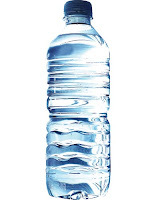 I try to stay hydrated and find I am a lot healthier if I have plenty of water, I'll even add some crystal light immunity to it during the winter months when all the sickness is going around, It really works! And my favorite chocolates are always tucked away, sometimes you just need one to get you back on track!! Now it's your turn head on over to Blog Hoppin and tell us what you Must Have in your classroom to start the year off right!